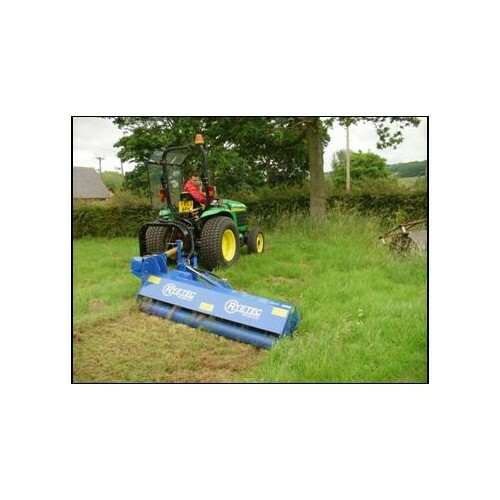 Very heavy duty flail mower for topping, chopping, shredding and spreading. 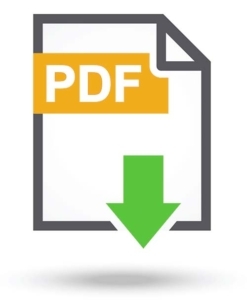 Heavy duty gearbox and drive line with oil immersed cross shaft for reliable cool running. 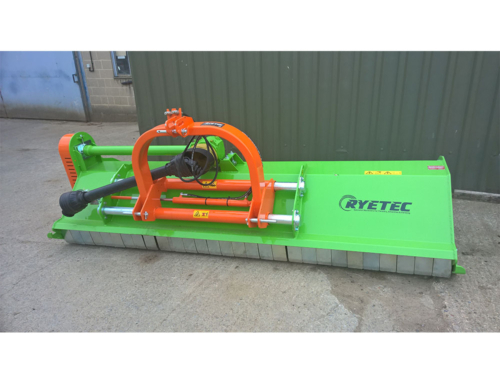 Choice of skids, wheels or full width roller for control of cutting height. 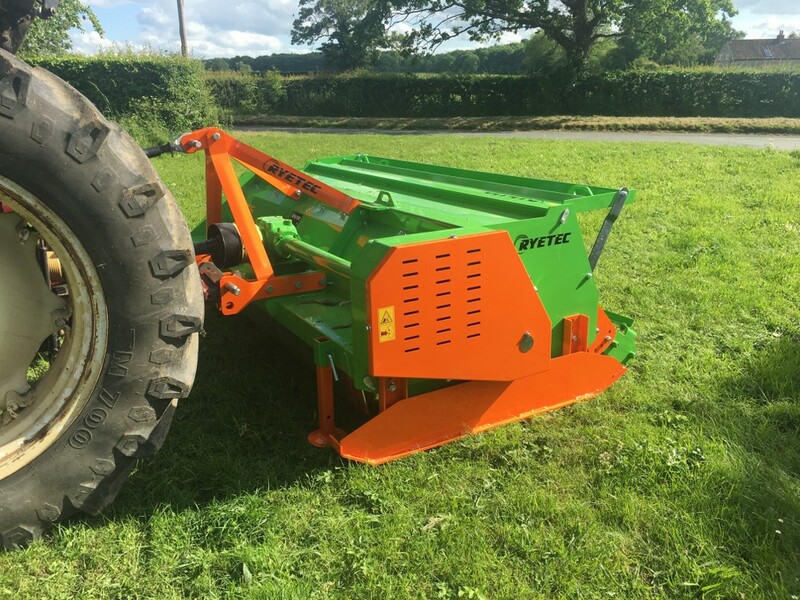 Floating linkage mounts to follow ground contours. 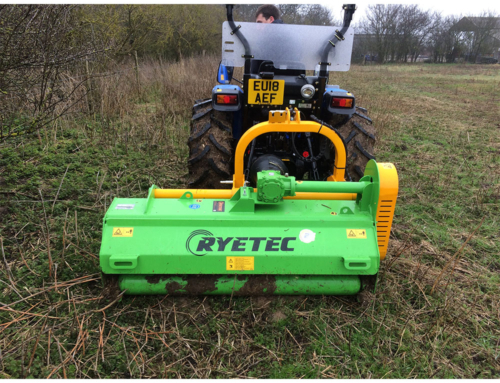 Twin rotors on machines of 3.2m and over with dual drive for reliability. 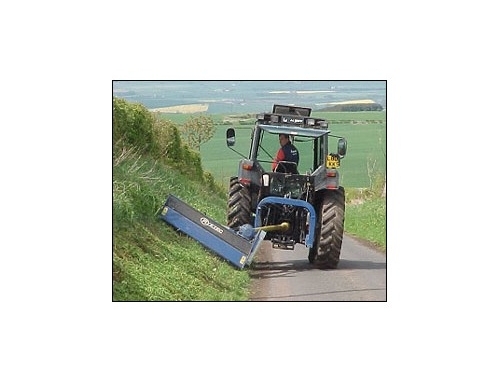 Opening rear hood with optional deflectors for efficient spreading of cut and chopped material. Double skin option to protect frame from wear and tear and damage from stones and other hard objects. 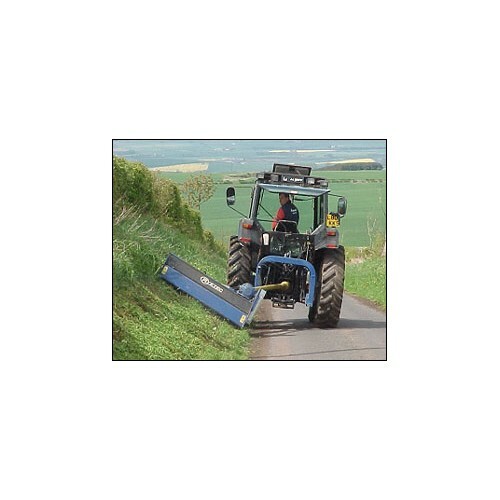 End tow kit for larger machines for easy road transport. 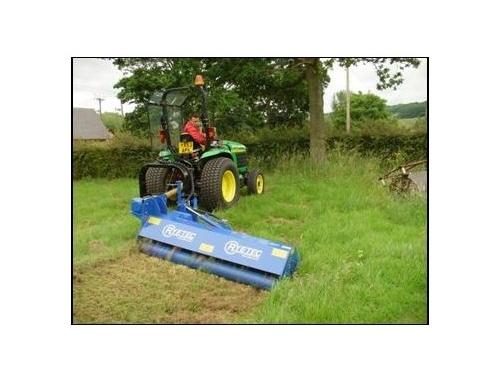 Ideal for any agricultural, horticultural and conservational application where large volumes of material are present. 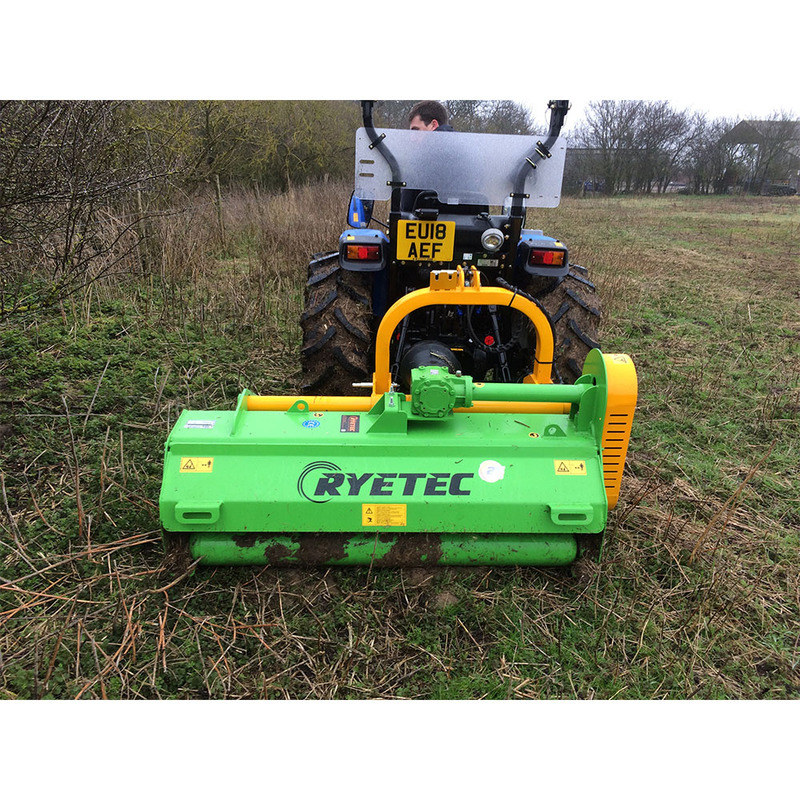 Efficient cutting of any form vegetation up to 50mm (2”) in diameter. 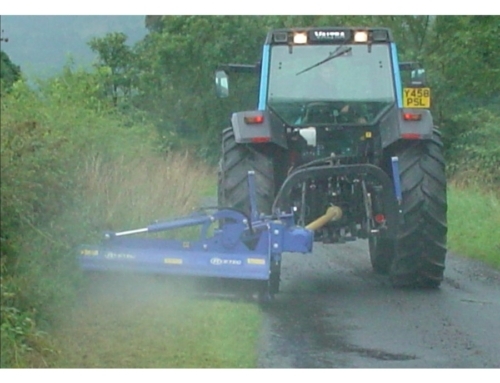 Large clearance between flail rotor and chassis mean no blockages even in wet conditions, and minimal power consumption. 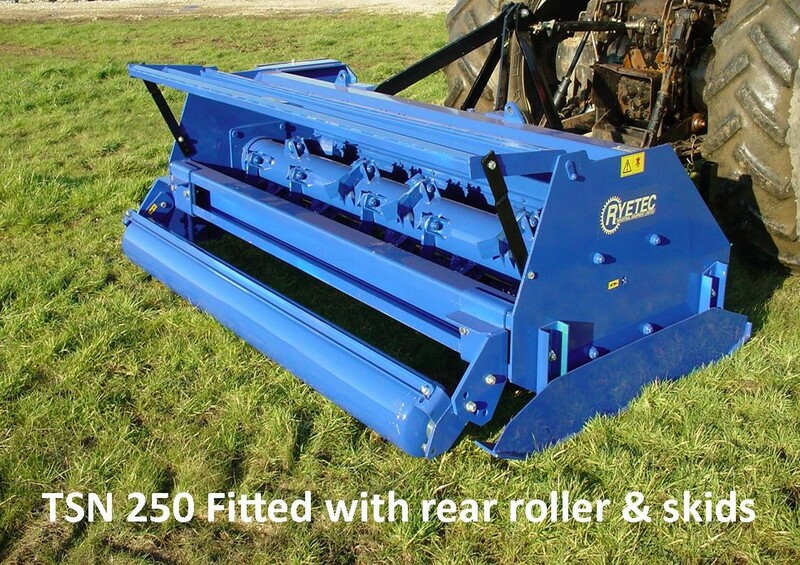 High clearance robust frame is ideal for operations on undulating ground or where stones or stumps may be present. 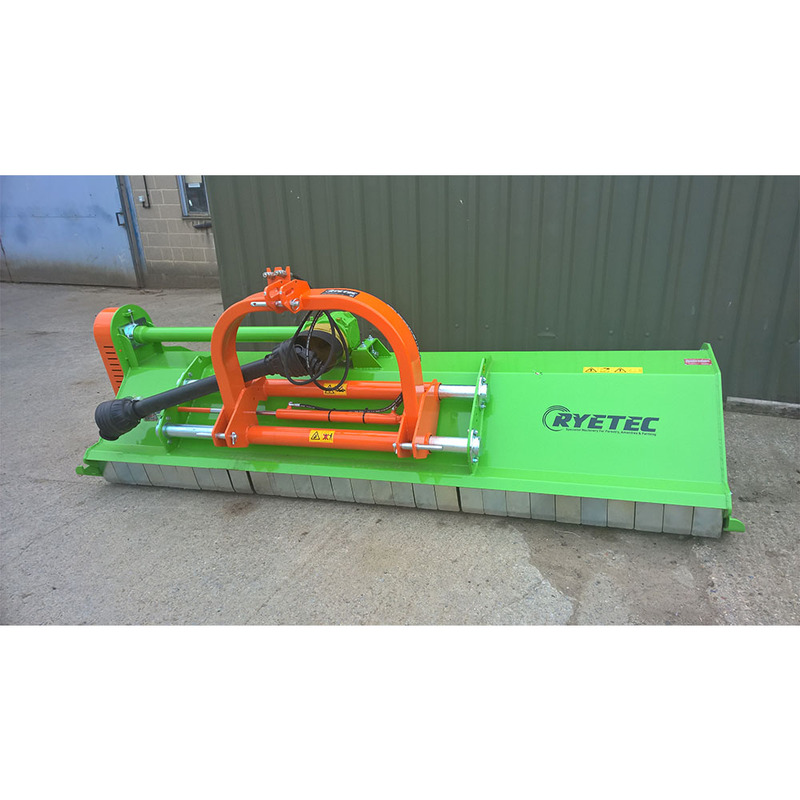 Comprehensive range of flails and blades with internal shredding bars or counter knifes for cutting, chopping and shredding of any crop. 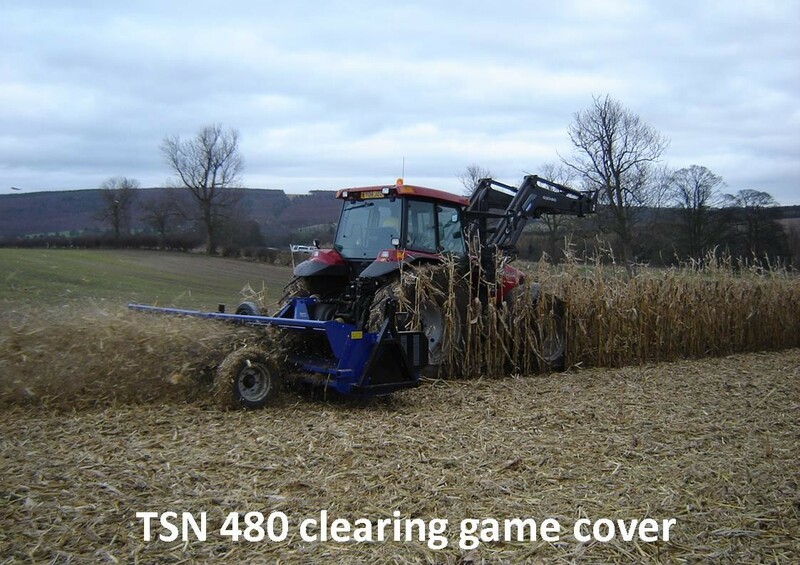 The TSN has a range of blade options so it can cut much more than grass. 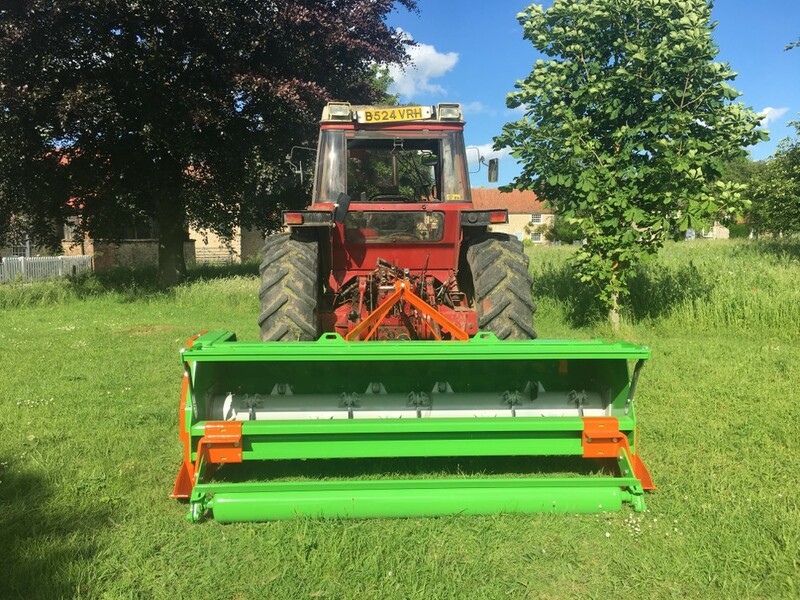 The different blade configurations allow for the topping of potatoes prior to harvest, chopping of straw residues from agricultural crops and control of heather growth in moorland areas. 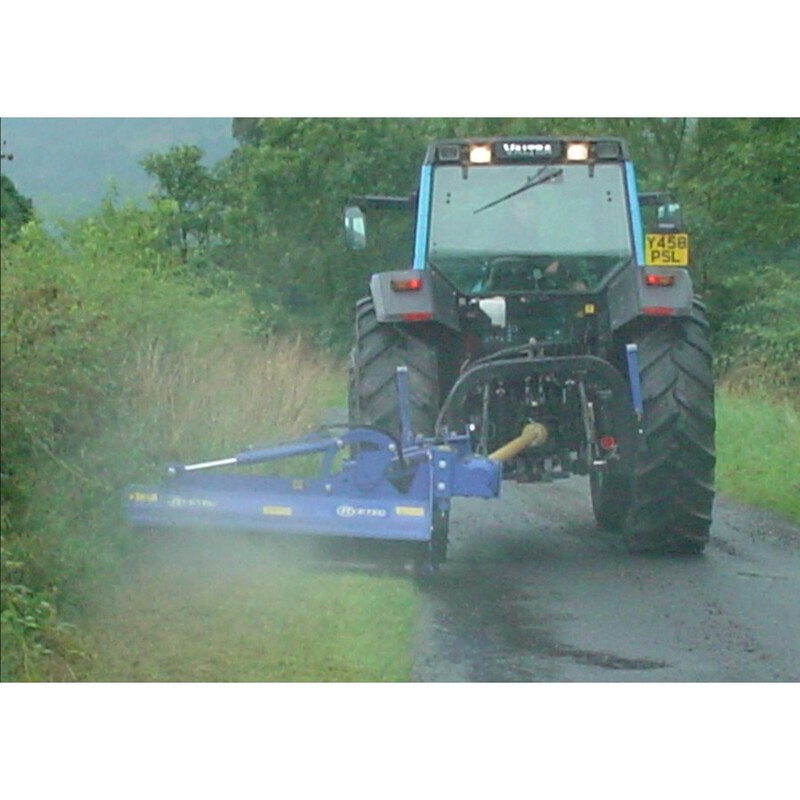 Cutting height control can be by rear roller for level grass, or wheels or skids on undulating or stony ground. 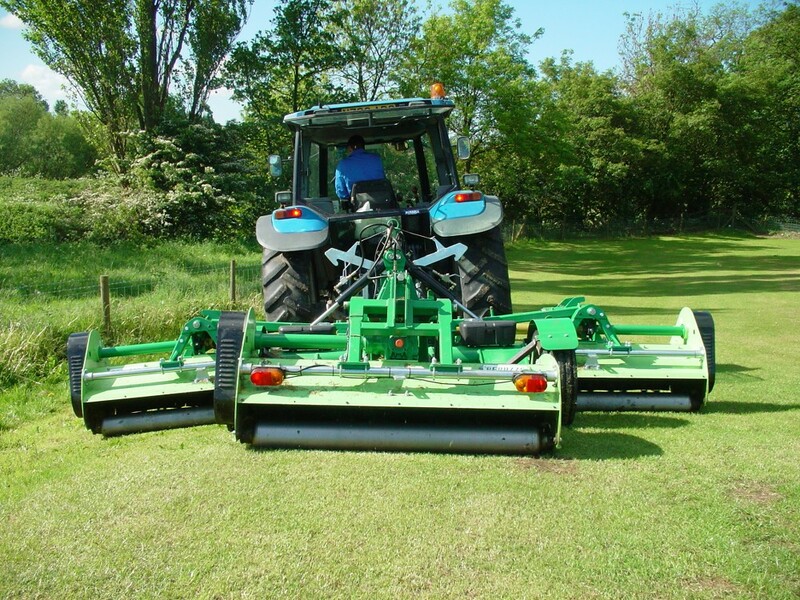 The wheels can be fitted in any position across the rear of the machine to follow different crop row widths and pivot to allow turning during the mowing operation. 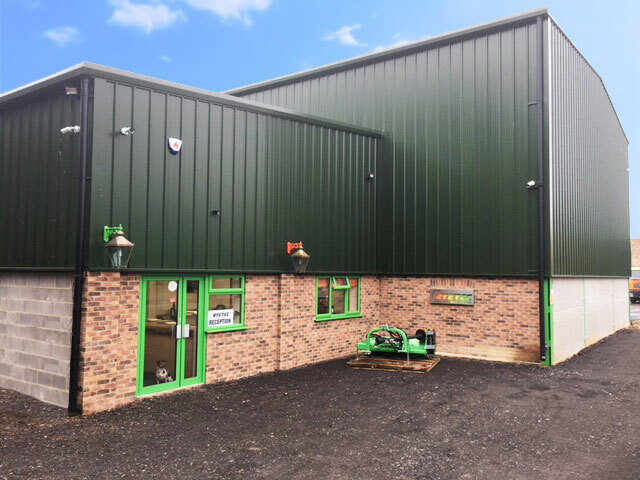 With the rear hood open, all cuttings are spread very evenly across the full width of the TSN, this can be further assisted by the fitting of optional spreading deflectors.